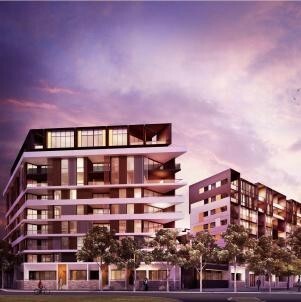 The 24 hectare estate, Victoria Park at Zetland in Sydney, is nearing completion with the final plot of land set to have a 322 apartment and townhouse complex developed on the site. Architect Nick Turner from architectural firm TURNER, won the commission to develop Victoria Park in 1995 and has since designed eight buildings in the precinct. The last building is called Platinum and is being developed by Payce, it will comprise of five buildings ranging from six to 15 storeys each with its own colour scheme. Turner said that natural materials will be used throughout the building. “We have unified the lobbies and the health club by using natural stone and timber extensively,” said Turner. “Concealed lighting and refined finishes such as smoked mirrors and patinated metals contribute to a luxurious and glamorous look reminiscent of a moody bar or an exclusive club," he added. Sustainable practices have been incorporated into the overall Victoria Park development including solar collection, passive design, emission reduction and water retention and reuse as well as almost four hectares devoted to open space and parklands. A landscaped central courtyard is included in the design with an outdoor kitchen and raised timber and bamboo ‘pods’. Landscape architect Angus Bruce has conceived the 2000 square metre space as an "Asian-inspired grove of black bamboo'. The apartment interiors have been designed by Koichi Takada with the aim of conveying a 'Japanese' sensibility. “The colours, textures and contrasts take you to an out-of-world place – an escape as enticing and beautiful as a fashion label,” said Mr Takada.